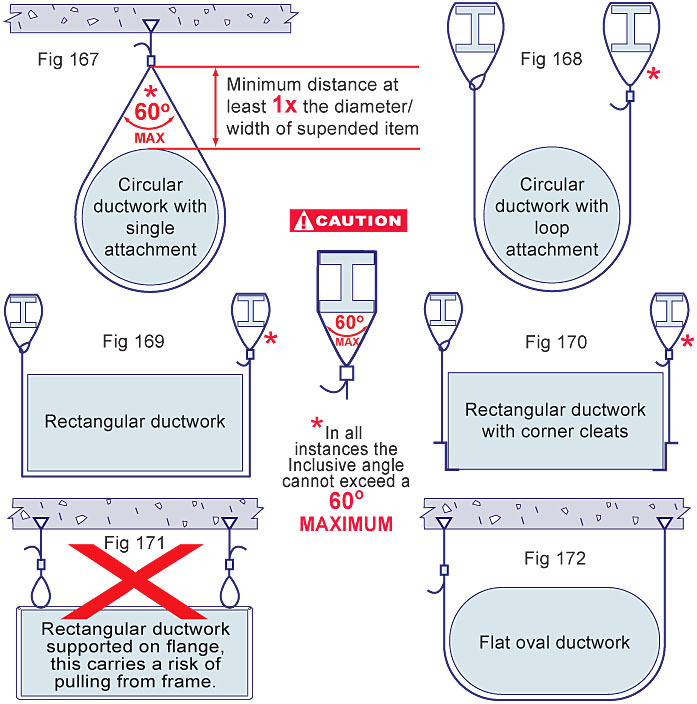 These are typical examples of wire suspension arrangements taken from Building & Engineering Services (B&ES) DW/144 2013, covering standard types of ductwork. We would NOT advise using the method as shown in fig.171 with any wire suspension system as it carries a potential risk of pulling the profile away from the ductwork if not installed correctly. If you need more information on other wire suspension installation methods, please contact our UK sales office on: +44 1207 238844 or fax: +44 1207 283563.